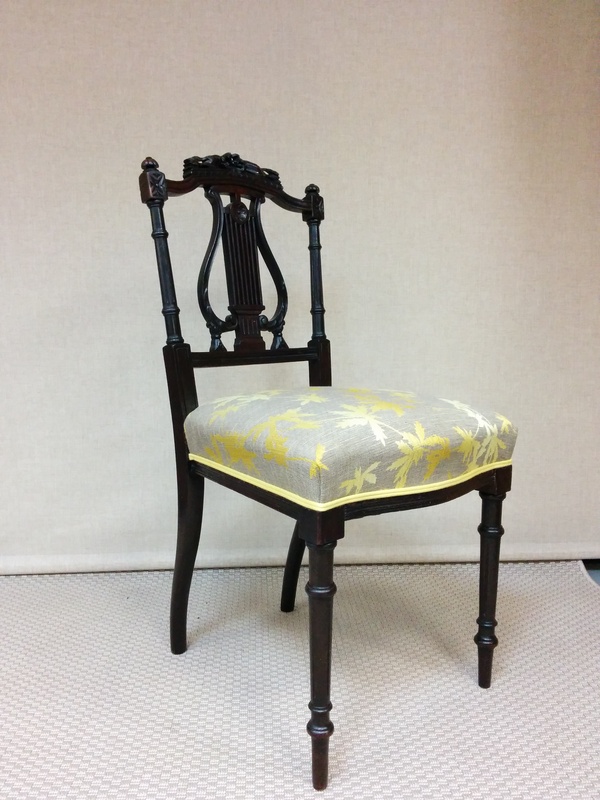 Here is my first upholstered chair. I’ve loved doing it and can’t wait for all the others to come! Excellent Jo well done looks lovely very classy but with a modern touch. I love the fabric, it looks great. The first of many i’m sure. Well done.